We get that your pet is as serious about the game as you are. 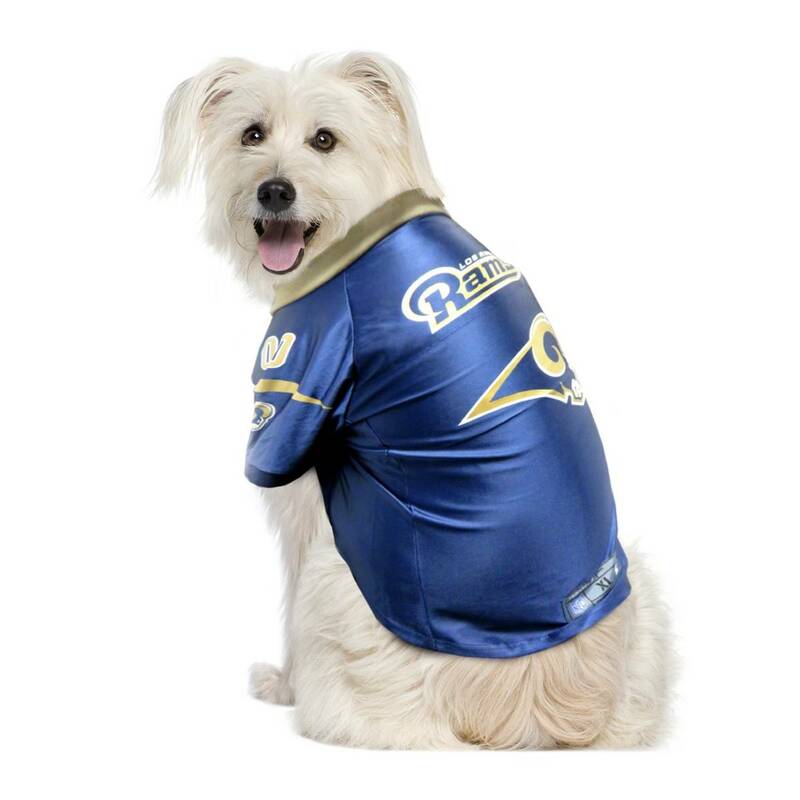 The officially licensed Los Angeles Rams Pet Premium Jersey features authentic team uniform graphics, so you both can head to the tailgate in style! 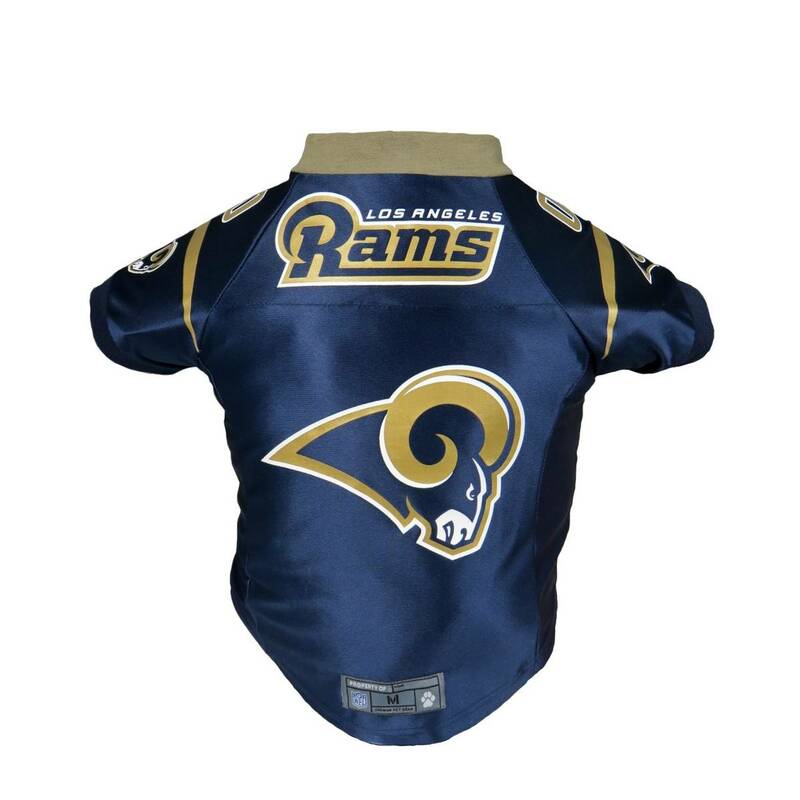 Now, there is a jersey for your biggest friend! 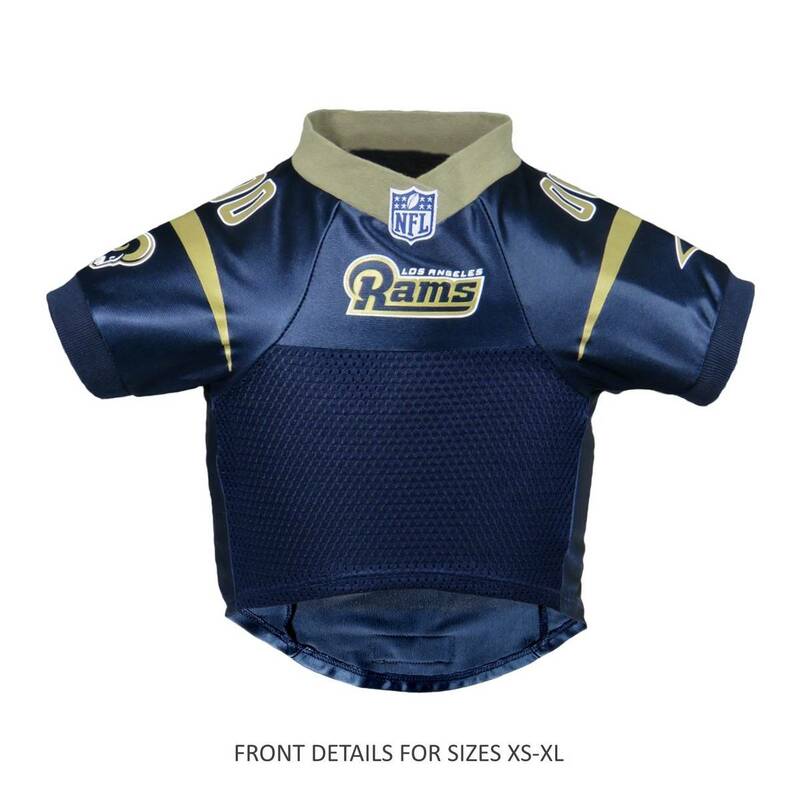 This Big Dog size fits pets up to 130 lbs and shares the authentic team uniform features of the smaller sizes. Big Dog 22-26" 34-38" 24"